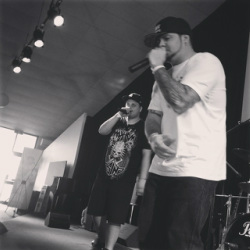 A movement formed & started by D4C on the Gold Coast... He's teamed up with SC11 & is ready to push forward to create a revolution to make a difference and make a change to the lives of everyone! You're all invited. 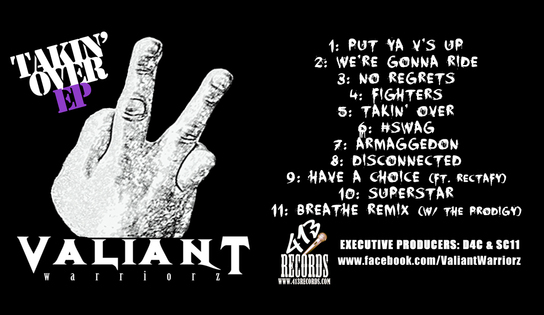 ​"Valiant Warriorz" is based on the verse Judges 6:12! Judges 6:12 ""And the angel of the LORD appeared to him and said to him, "The LORD is with you, O valiant warrior." GET THE NEW EP "TAKIN' OVER"
It is beginning!! Wait... it has begun!! The movement known as "Valiant Warriorz"... more than just a group... but it's a revolution!!! Only just at the beginning stages, but the first step has been taken & the dreams of both D4C & SC11 have helped this get off the ground!! Get the EP which started it all off! !